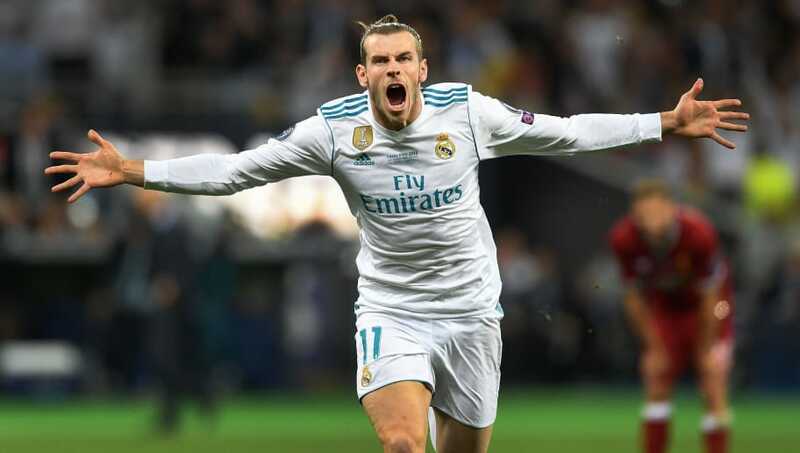 Zinedine Zidane's Real Madrid bagged their third successive Champions League trophy with a convincing 3-1 win over Jurgen Klopp's Liverpool side. The match was tainted by two very unfortunate injuries in the first half, as Liverpool's talismanic forward Mohamed Salah had to leave the field with a shoulder problem, while Dani Carvajal was forced off minutes later with a hamstring problem. Karim Benzema's cheeky goal and two Gareth Bale strikes - including a brilliant overhead kick secured the tie despite Sadio Mane's goal that levelled matters at 1-apiece. The German international looked quite confident in the opening exchanges but he must take responsibility for handing Karim Benzema and Gareth Bale two of the softest goals you'll ever see in a Champions League final. The young right-back was tasked to contain the explosive Cristiano Ronaldo. He did quite well for the most part and even charged forward whenever possible. No one really expected Lovren to step up the way he did last night. Not only did he make some crucial last-ditch challenges, he also set up Mane's equaliser. Ahead of kick-off, Van Dijk insisted he would be more aggressive that usual. The Dutchman did his job decently but wasn't able to impose himself. Another young full-back who did his job quite neatly for the entire 90 minutes. His inch-perfect challenge to deny Cristiano Ronaldo was magnificent, to say the least. Unremarkable would probably be the perfect adjective to describe his performance last night. He contributed well to Liverpool's attacks but didn't look menacing for most parts of the game. The captain of the side did his best to put pressure on Real's midfield. He forced a couple of mistakes out of them but couldn't trouble them enough consistently in any way. Milner could very well be called the workhorse of the team, but his tenacity was no match for Real's quality in the middle. Many belived last night to be Mohamed Salah's audition for the Ballon d'Or but a possible dislocated shoulder forced him off after just 31 minutes. Until then, he looked to be on song and was combining well with his team-mates. Firmino, like always, tried to combine with his team-mates to split Real's defence. He didn't succeed in breaking through barring a couple instances, but couldn't get on the scoresheet. The absence of Mohamed Salah put immense pressure on Firmino and Mane. And while the former looked rather tame, Sadio Mane kept the Real defenders on their toes, scoring the only Liverpool goal. Came on for Salah in the 31st minute. Tried to combine in the middle, but couldn't make much of an impact. Introduced in the 83rd minute, the Juventus bound player didn't do much. Until the 37th minute, when he was subbed off with a hamstring injury, Carvajal played a wholesome game and kept Real's right side mobile and ready to play both ways. The Frenchman used his pace and composure well to sniff out the danger on multiple occasions and kept it tight at the back. He probably will get enough flak for that harsh challenge on Salah but his overall game was spotless. Brilliant on the ball and oozed confidence. Before Salah went off, it was looking like it would be a difficult night for the Brazilian. However, he came back strongly in the second half and helped set up Gareth Bale's world-class goal. At the age of 32, he is still toying with the opposition midfield while helping out tirelessly at the back. A Luka Modric masterclass. The Brazilian did what he does best, intercepting the ball in dangerous positions and handled Liverpool's press in a commendable manner. Kroos usually is one of the more dependable players in the squad. But last night, he was not at his best and misplaced a number of passes. The Spaniard looked a little lost amidst Liverpool's relentless pressing but found his feet as the game progressed. Was unlucky to see his attempt bounce off the crossbar. His tamest final since he joined Real Madrid, Ronaldo looked a shadow of his usual self. His relatively slow reaction time let him down big-time last night. Came in for Dani Carvajal and made the right flank his own. Calm, composed and dependable. The best substitution in the history of substitutions. His brilliant overhead kick is being called the best goal in a Champions League final and rightly so. His second goal was comparatively straightforward but you always need to attempt those to be rewarded. You couldn't ask for a more complete performance. Introduced in the 89th minute, he didn't touch the ball enough.